The Idle Man spend 24 hours with The North Face designer Edouard Gros to find out what a typical day consists of. Since 1966, The North Face have been creating groundbreaking outdoors apparel, arming its customers with the clothing and equipment required to brave the elements. They have been the go-to for explorers and adventurers alike supplying kit for skiing, camping, mountaineering and running in all conditions. In a development of the brand, recent years have seen The North Face rapidly acquire support from the UK street scene, meaning The North Face jackets have gained popularity not just for mountain climbing, but urban exploration as well. Currently one of a handful of stockists, The Idle Man now offer The North Face Black Label. Inspired by archive pieces, the exclusive range is comprised of lightweight jackets, T-shirts, and sweatshirts that build on the labels rich heritage. Whether you're looking for The North Face parka to keep you warm and dry in the winter months, or North Face fleece to layer up as you please, you'll find everything you need in their expansive collection. On top of that, we've bagged an exclusive with the famous The North Face designer himself, Edouard Gros, as he talks us through a typical 24 hours in his working life. How Does Your Morning Start During the Week? I look out the window at the Mountains and dress according to what I see. I actually never look at my phone for weather reports. First Thing You do When You Get to Work? Putting ideas to paper and brainstorming. Where Do You Get Inspiration for Your Collections? The archive is a great place to start. With 50 years history there is a lot to look into. I would recommend you to have a look a movie/documentary called “Valley Uprising” to really understand where the brand is coming from. Founded in 1966 in a post-war America, The North Face grew from a Beat Generation circle of climbers providing them gear to live a life of adventure without limits in Yosemite Valley in California. Beyond the archive there is a real interest and passion for the outdoors mixed with urban life. I am very curious when meeting passionate collectors and athletes and really getting to understand everything about their expeditions, how they prepare, what they eat, how their life is at base camp. Any Interesting Facts About The North Face? I think the story behind the Black Label alone is interesting. Back in 1987, the athletes team including director of Equipment Sally Mccoy wore Mountain Jackets and Denali Jackets on the Snowbird Expedition to Everest. This expedition had a lot of media coverage for the time but they realized that taking pictures of the front logo placement was useless when climbing up mountains. The members decided to add The North Face logo patches to the jacket arms to make sure they would be visible on side shots in addition to back shots. The arm logo positioning became iconic for all expedition jackets. What's Your Favourite Piece from The SS16 Collection? My all time favourite is the iconic Mountain Jacket. Steeped in heritage it’s just a perfect everyday piece of protection for summer, wind and rain. 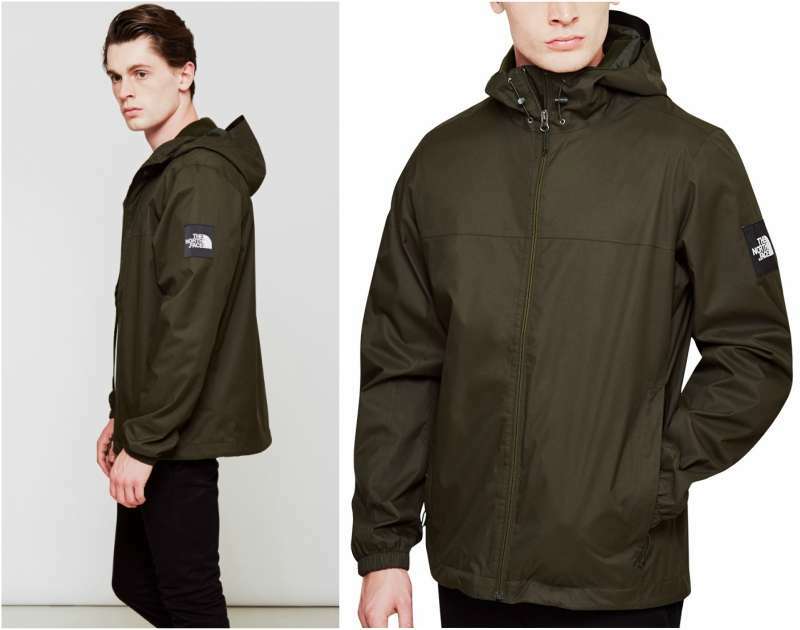 This year we relaunch the 1990 version of the Mountain Jacket. Alterations from the 1985 version, apart for the difference in the pocket position is the fact that draw cords are now attached. This was a change to the design that was made after the Snowbird Expedition. The feedback from athletes was that in strong Himalayan Winds the cords were always whipping in their faces so we stitched them down to prevent this. What Are the Aims for AW16? In AW 16 we will expand the Black Label to more items including Down Jackets, Parkas and layering up items with design elements from Mountain Jackets and Denali Jackets.